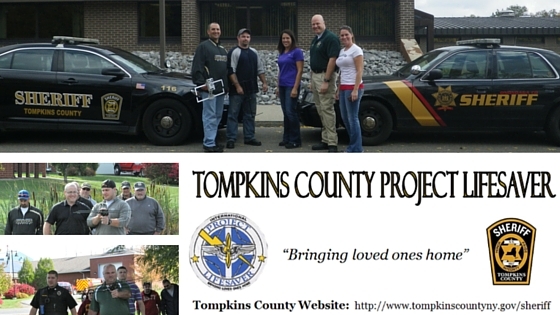 The implementation of Project Lifesaver was inspired by the loss of our 81 year old Tompkins County resident, Johanna Kirkwood. She wandered away from her home in Lansing, N.Y. on March 3, 2012 and was found deceased not too far away. Johanna suffered from Alzheimer’s. 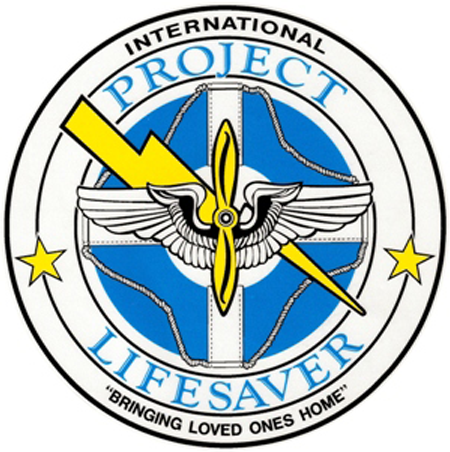 Project Lifesaver may make a difference by assisting law enforcement with the timely recovery of a missing person. We do not want to see what happened to Johanna happen again. This program will help us in making that notion a reality. 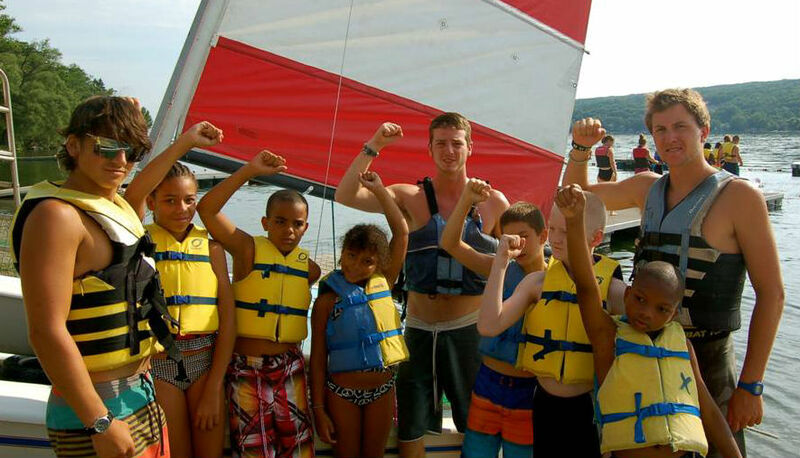 We would like to extend a special thanks to all those who have helped with the research and planning to make Project Lifesaver a reality in Tompkins County. People that sign up for this program suffer from a wide range of illnesses; some of which are listed below. 1. Each participant is fitted with a personalized Project Lifesaver wristband. This unique wristband is a one ounce, battery operated transmitter that emits an automatic tracking signal every second, 24 hours a day. 2. The signal can be tracked by trained personnel from the Sheriff’s Office using patrol cars and on foot using hand-held equipment; which uses radio frequency for the tracking capability. 3. When necessary, a helicopter, equipped with radio frequency tracking capabilities, can be used in the search. 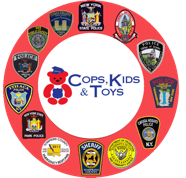 This is in conjunction with the Onondaga County Sheriff’s Department Project Lifesaver program. 4. Project Lifesaver is designed for individuals living at home in the community who are at risk of wandering. These individuals are typically those who have an illness; which are listed in the above category. In order to learn more information about the cost of the program, please give our office a call. We will be happy to talk with you more on the program. There is a deposit of $300.00 for the equipment; which is refunded at the time that the equipment is returned undamaged. Once the equipment is returned, you can elect to get your deposit back or donate the deposit to keep the program going. This program is donation based, so anything that can be given is appreciated. There is a non-refundable $10.00 charge collected every 60 days for replacement of batteries and bracelet straps. Fees are subject to change as dictated by the manufacturer.